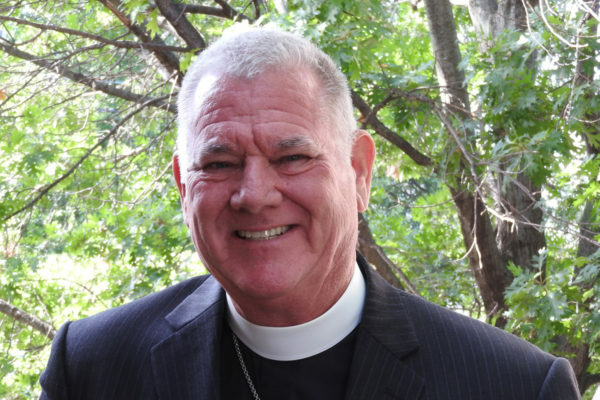 [Episcopal News Service] The Episcopal Church’s Executive Council Jan. 23 elected one of its members, Diocese of Oklahoma Bishop Edward J. Konieczny, as the church’s bishop member of the Anglican Consultative Council. Konieczny, who has been bishop in Oklahoma since 2007, succeeds Connecticut Bishop Ian Douglas whose three-meeting term ended after the last meeting of the ACC in Lusaka, Zambia, in April 2016. Konieczny joins lay member Rosalie Ballentine, a deputy from the Diocese of the Virgin Islands, and House of Deputies President the Rev. Gay Clark Jennings, who is the Episcopal Church clergy member. Diocese of Texas Bishop Andy Doyle and Convocation of Episcopal Churches in Europe Bishop Suffragan Pierre Whalon also stood for election. The election took place on the second day of council’s three-day gathering at the Maritime Institute Conference Center outside Baltimore, Maryland. The ACC’s objective, according to its constitution, is to “advance the Christian religion and in particular to promote the unity and purposes of the Churches of the Anglican Communion, in mission, evangelism, ecumenical relations, communication, administration and finance.” And, among the ACC’s powers listed in the constitution, is one that says it should “develop as far as possible agreed Anglican policies in the world mission of the church” and encourage the provinces to share their resources to work to accomplish those policies. Formed in 1969, the ACC includes clergy and laypeople, as well as bishops, among its delegates. The membership includes from one to three persons from each of the Anglican Communion’s 38 provinces, depending on the numerical size of each province. Where there are three members, there is a bishop, a priest and a layperson. Where fewer members are appointed, preference is given to lay membership. The ACC meets every three or four years, and the Lusaka meeting was the council’s 16th session. The first meeting was held in Limuru, Kenya, in 1971. It will next convene in 2019. Sao Paulo, Brazil, was due to host that meeting until the ACC Standing Committee said in September that concerns were raised about Brazil’s political and economic instability, as well as the church’s discussions on human sexuality and marriage, which will take place at its 2018 provincial synod. Hong Kong, the province of ACC Chair Archbishop Paul Kwong, might step in to host ACC-17. praise the Lord. congratulations. I pray for God’s blessings in your new assignment. Wonderful news. Congratulations in this new position! May God continue to guide and bless you.